If You Are A General Manager, Hungry For A LIFETIME CAREER Offering World-Class Experiences, Opportunities And Top-Notch Training, You Have Found Your Home! Apply Today for our location in Mechanicsburg PA.. To become a successful General Manager with our company, your outlook must be devoted to complete guest satisfaction. We empower our General Manager to perform whatever it will take to create any situation right and believe that training is among the keys to building a successful career. We pride ourselves on having developed a comprehensive competency-based training program that meets your personal needs. For this reason we offer among the best on-going career development tools in the industry to prepare you for the next degree of responsibility. We pride ourselves on our Genuine Western Hospitality and are pleased with our legendary steaks, chicken and seafood. Opportunities here are endless as we currently operate about 350 restaurants in more than 3 various states and are continuing to open up new restaurants across the United States. Our Portfolio of Restaurants Total over a BILLION DOLLARS in revenue each year so stability and financial commitment to our employees is paramount. Don’t skip this wonderful career opportunity as a General Manager for our location in Mechanicsburg PA.
Job Description: The General Manager will direct all operations of their restaurant. This includes all facets of restaurant operations, FOH and BOH, in addition to managing P&L cost centers. The General Manager is the face of the restaurant in the local community and is a key position to our guests overall satisfaction. 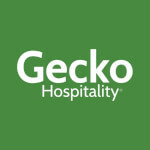 The General Manager in this position will ensure that the restaurant is optimally staffed and that employees are fully trained in all aspects of their job, all while working with the other members of the management team to respond to complaints, taking any and all appropriate actions to turn any dissatisfied guests into return guests.